The Medieval Knight Albrecht Templar Spaulders Shoulder Armor Pauldron features a layered construction of fine leather material. 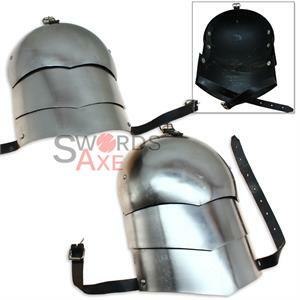 This makes these pauldrons light weight and nice fitting armor. 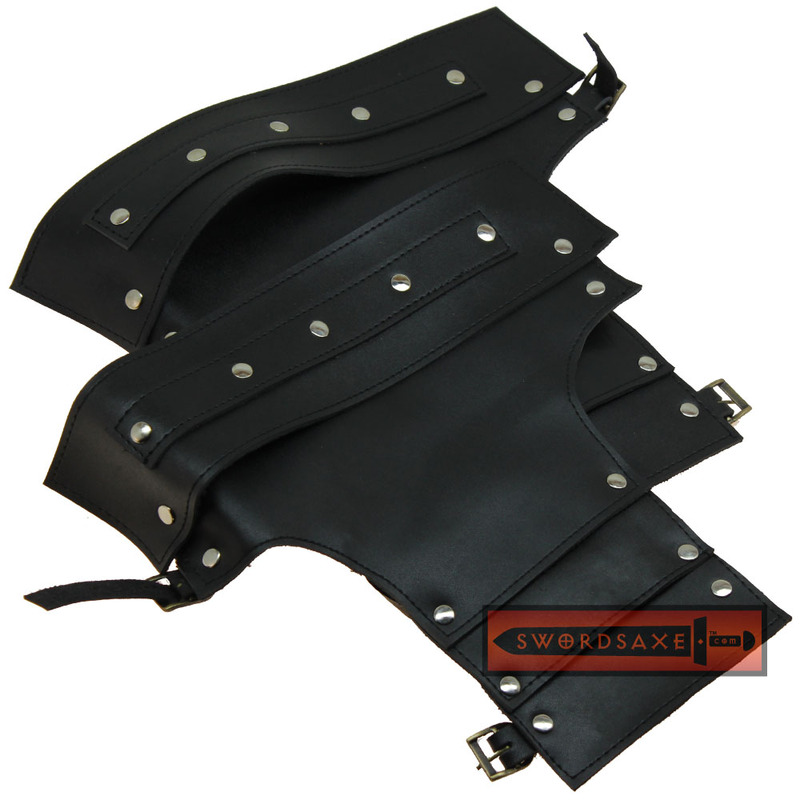 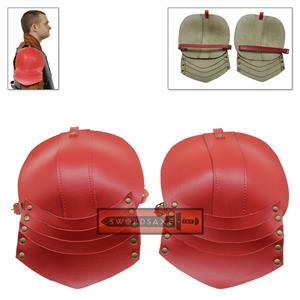 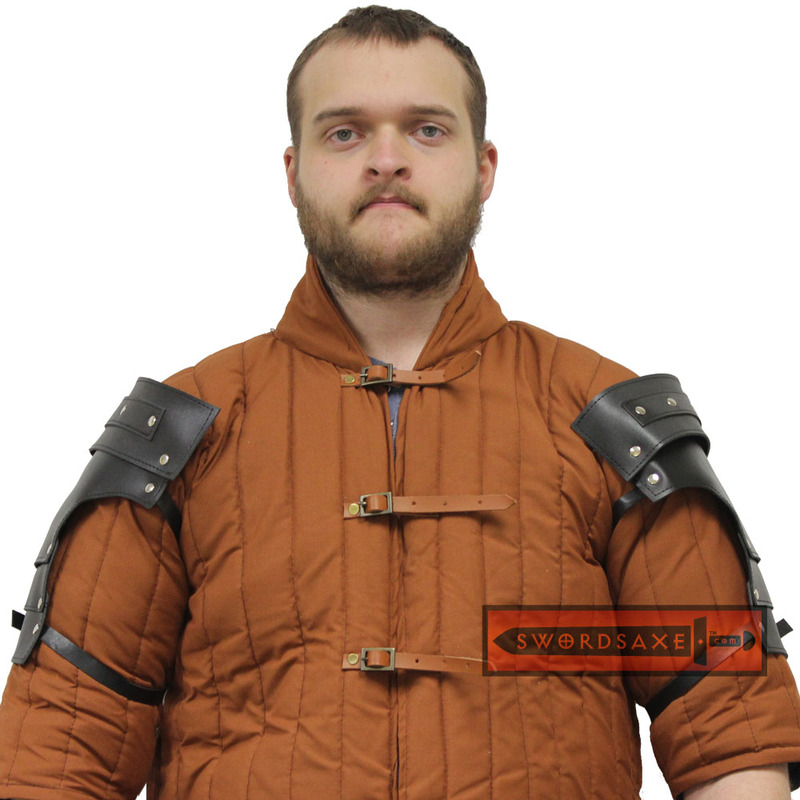 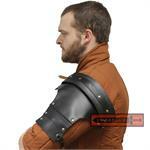 These armor pieces are securely fastened with buckles at the shoulders and upper part of the arm, and look stunning as part of any historic ensemble, cosplay set or reenactment costume. 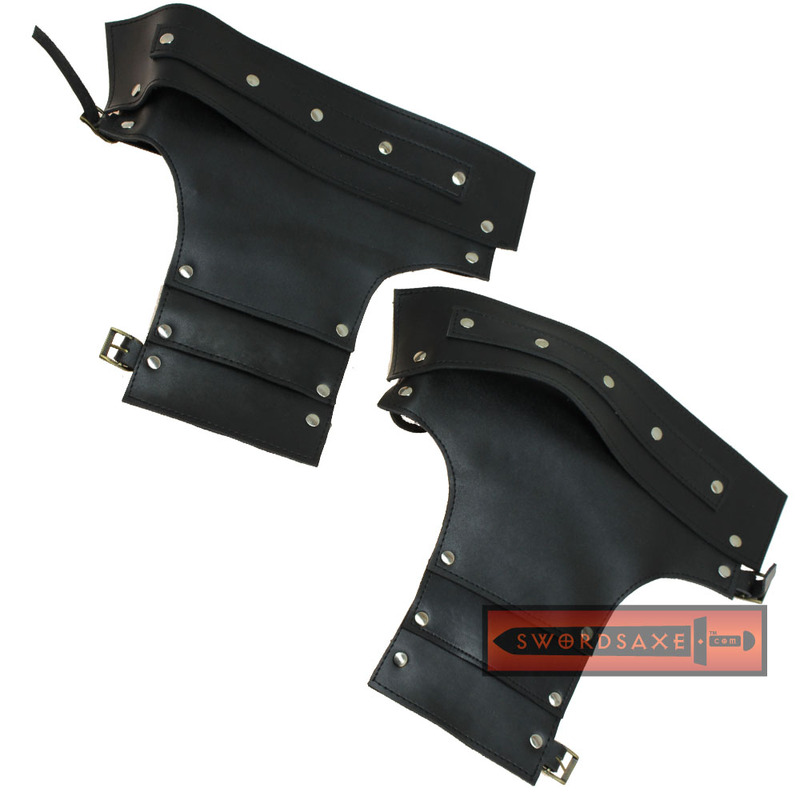 For additional protection and an authentic look, add the Albrecht Templar Spaulders to your medieval reenactment or LARP armor sets.